ONE SHALL STAND! ONE SHALL FALL! 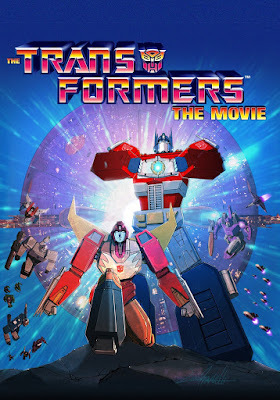 A very special event will take place on September 27th when Fathom Events hosts for one night only the return of Transformers: The Movie, the 1986 animated classic that featured Optimus Prime, Hot Rod, and a whole new generation of Autobots against Galvatron and the threat of Unicron! We're happy to offer our readers the chance to win a pair of free passes to the Fathom Events screening of their choice. To enter, simply send an email to punchdrunktrav@gmail.com with "TRANSFORMERS Screening" in the subject line. Please include your full name, favorite Transformer (Autobot or Decepticon), and your preferred movie theater and backup theater. You can find the theater closest to you by going to the Fathom Events site here and inputting your zip code. Winners will be selected on Friday, September 14th and notified by email. Good luck! Transformers: The Movie returns to theaters on September 27th, 7:00pm local time!